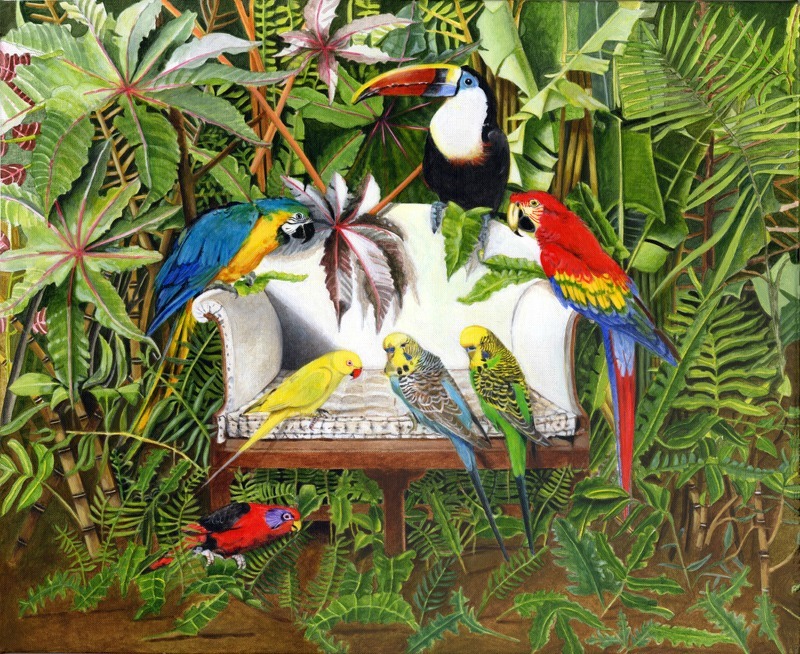 I am very interested in painting tropical birds with their vivid colours, and rainforest leaves with their extraordinary shapes and sizes. The George III sofa, although incongruous, brings it all together. Alternatively, you may arrange to collect, By Appointment, from Capesthorne Hall weekdays between 10am and 4am. A discount is available if you choose to do this, please see details by selecting the collect option in the dropdown menu.